21 in 21: Ready. Set. Go! Want to accelerate your future? 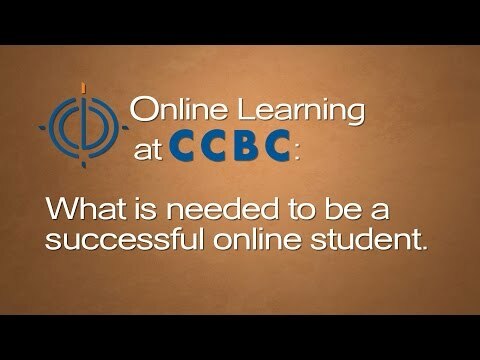 CCBC’s flexible scheduling means you can take all 21 courses required for your degree in 21 months, online. The General Studies online degree and certificate offer on-demand flexibility. They’re both smart options for anyone planning to pursue a bachelor’s degree after graduating from CCBC. like to take charge of your learning. want to to design your own course of study. have accumulated credits from other programs at CCBC, or even other colleges. In the General Studies online degree program, you will acquire a foundation of well-rounded skills to pursue a variety of academic disciplines and careers after CCBC. It’s the first step toward a bright future. And, if you want to accelerate your future, CCBC’s flexible scheduling means you can take all 21 courses required for the online degree in just 21 months. The General Studies degree online option offers maximum flexibility for students who plan to pursue a bachelor’s degree upon graduation from CCBC or for whom a general studies degree best meets their academic goals. This program is especially appealing to students who wish to design their own course of study or who have accumulated a significant number of credits from other programs or colleges. Students acquire well-rounded skills to pursue a variety of academic disciplines and careers. They also learn to navigate and function within the diversity of our contemporary world. The General Studies Transfer Certificate online option is a great choice if you want to complete your general education classes before transferring to a 4-year institution. General Studies offers maximum flexibility for students who plan to pursue a bachelor’s degree upon graduation from CCBC. Students acquire well-rounded skills to pursue a variety of academic disciplines and careers. They also learn to navigate and function within the diversity of our contemporary world. Apply now for the General Studies online option!